In a recent Business Executive study, it has been discovered that customers completed nearly 60% of a typical purchasing decision, which includes product or solution researching, ranking options, setting requirements, pricing, and so on—before having a conversation with a sales person. Millennial buyers, i.e. people born between 1977 and 2000, are the early adopters of this digital age. Millennials are “hooked” on social media in much the same way older generations are “hooked” on email at work. They are on the various social networks, reading what their friends post about other products. They’re also going to the various review sites to read what other consumers have to say about a brand. 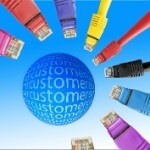 This leads to more interactions between a customer and a brand. It starts early and is never ending. When a customer interacts with a brand, they want to provide feedback about not only the product but also about the customer service – and they have various ways to provide this feedback. Now a days it’s is very easy for a customer to post online to Facebook or Twitter while they wait at a restaurant, buy a product or use some services. They will share their reviews when asked to do so after shopping online at a store or staying at a hotel. There are plenty of ways to share an opinion and the connected customer doesn’t hesitate in doing so. 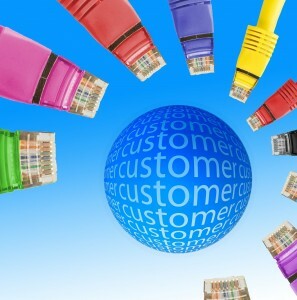 As a result word of mouth travels faster thanks to the internet and the brands that a connected customer interacts with are going to be affected by their online behaviors more dramatically. There are new channels for marketing and promoting. The same channels that a business uses to market themselves are the channels that customers will use to talk about a product or service that they have recently used. “Social shopping” is the intriguing offspring of social networking and online shopping, and it can offer many growing business just the marketing leg up it needs. Studies have found that simply listening to what people are already saying provides powerful insights into their attitudes and behaviors. And consumers were very active in voicing their opinion this 2014 holiday season: shoppers talked more online about their shopping but also extended the shopping period with more social engagement and prolonging their hunting season. Though price is important, superior customer experience, service and convenience are top priorities for making decisions. Customers want to be taken care of and they demand more. This means that if a business wants to be successful in today’s online world, they have to recognize that the “customer is king”. Every interaction with your customer is a marketing opportunity, and some engagements are more important than others. The modern marketer has to be ever present in critical moments of impact during the buyer’s journey. The key is providing “red velvet” experience to the right customer when it’s needed most. It all comes down to moments that matter, because even when the traditional sales funnel is completely decimated, as consumers today have more than just one linear way to buy a product, there will still be moments from which a brand can capitalize. To improve top line revenue, businesses need to change how they sell, and fundamentally rethink the training and support provided to their sales agents. Businesses should take into account the customer experience and ensure that it is positive even before the first interaction with the customer. After the first interaction, the processes need to be streamlined and the communication needs to be thorough. Today, more than ever, businesses need to engage their customers across all channels – to both win new and retain existing customers. To build loyalty, and deliver more personalized experiences, businesses need to use tools that help them measure the behavior of savvy consumers and listen to their voices in the social media – and adjust their business strategy accordingly. That is why customer success management tools have become integral parts of modern business. They help you to simplify your business process, focus more on customer journey and amplify your revenue.